Ulisse: The Adimac Vending Machine with fall arrester elevator. 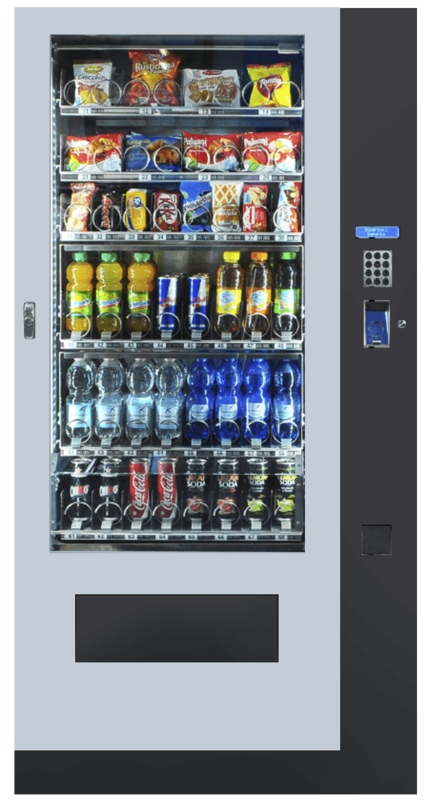 Ulisse is a drink vending machine equipped with a patented elevator that accompany your product to the product collection area. It respects the standard vending height (183 cm). Ulisse respects the standard vending height of 183 cm and is equipped with 6 trays where you can position up to 48 different products. It’s possible to add a seventh tray to increase the products range. Ulisse is equipped with a patented elevator accompanying the product up to the product collection area, in order to avoid fall damages and allowing the sale of fragile products. Ulisse is equipped with a bi-zone refrigerating system, that allows you to sell classic snacks and cold drinks, but also products that need to be preserved to +3°C as yogurt or sandwiches. It works with the standard protocols Executive and MDB, to have an absolute compatibility with any payment systems .